Oh, yes. The summer heat is here and the time has come for many to buy or drag out that window unit you'll soon be hovering around to stay cool. You've shopped around for hours to get that perfect unit or broke your back lugging it up the stairs, but soon that will all pay off, right? There are many things that can go wrong here and that pleasant thought of "chilling out" in front of the tube you were carrying around in your head can quickly be dashed by the sound of your unit crashing to the ground. Luckily, you have found this article, and because of it, you will not only be able to preserve those happy thoughts; you'll be confident that you've done the right thing in the off-season to keep your unit running properly and not worry about your unit falling on that stroller who walks under your window every day. Properly installing your window A/C unit is more about rules of thumb than step by step instructions. With so many variable units, brackets and window types, it would be hard to cover all of them. Instead, the following thoughts are things you need to know or keep in mind so that you don't damage the unit, break your window, or hurt yourself in the process. Ask for help - I haven't seen too many lightweight units in my 15 years of experience. I'd hate to see you lounging in the A/C because you slipped a disk and smashed your fingers, boarding up the where the window used to be, replacing a broken windowsill, or watching your unit hit the ground as the temperature hits the roof. Use a brace or bracket - I've noticed everything from flower pots to video tapes on window sills holding the back end weight of the unit. Though I'm sure it seems like a good idea at the time, it's really not. 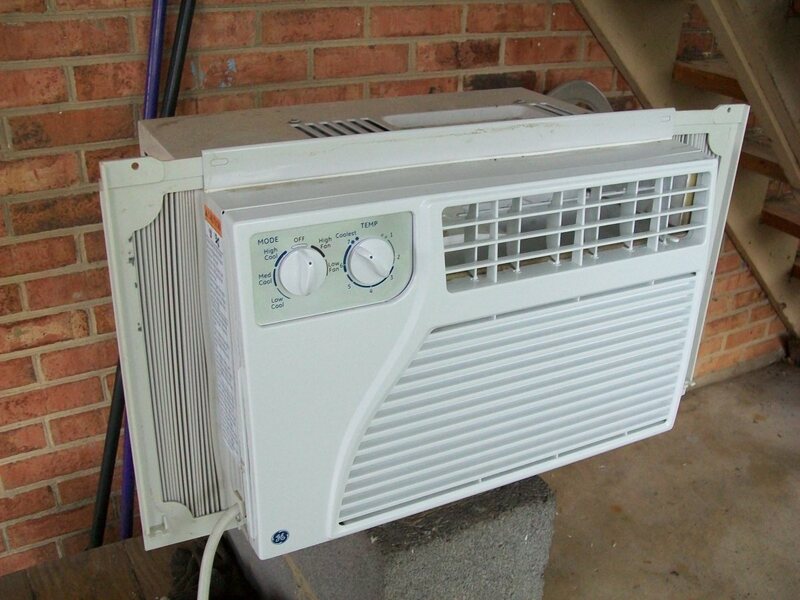 Purchase a proper window air conditioner support brace or bracket and install it according to its' instructions. There are many options available in the market today. Take measurements of your window sill and unit to be sure you purchase the right type. If you're on a first floor with low windows, perhaps you could build something to support the unit from the ground with items you already have available but otherwise, I don't suggest any make-shift contraptions. If you choose to go without a bracket, be sure to secure the unit to the window with the provide screws and braces. Do not just slap the unit into the window opening and walk away. NOTE: You will see that many installation instructions will show you how to mount and secure the unit directly to the window without the use of a bracket. While this is common practice, it is my personal opinion that supporting the total weight of the unit with a bracket will keep the window from absorbing it and the vibration the unit will create. Protect your window's framing - Purchase some type of adhesive foam weather stripping to apply to your window frames where the unit will be making contact. If you can't afford this purchase, many bracing systems will leave room for you to at least throw a towel between the unit and the sill, perhaps even around the sides and top. This is especially important to those with wood or plastic window frames. A side benefit of this protection is the fact that it will seal up small gaps between the unit as well, keeping out bugs and warm air. Tip the unit just slightly toward the outside - The unit will condensate and it needs to be tipped ever so slightly toward the outside so that it doesn't try to drain forward into the house. Choosing a good location is important because it's quite likely you won't be moving your unit on a daily basis. Be sure there is an electrical outlet close enough to your chosen window that the unit cord will reach. Do not use plug adapters or extension cords on your unit. If you don't have an outlet near the window in which you want to place the unit, perhaps have an electrician install one for you. Especially if you plan to stay in your home for a long time so that you can use this primary location year after year. Make sure that the unit will be clear of obstruction on both the inside and outside. 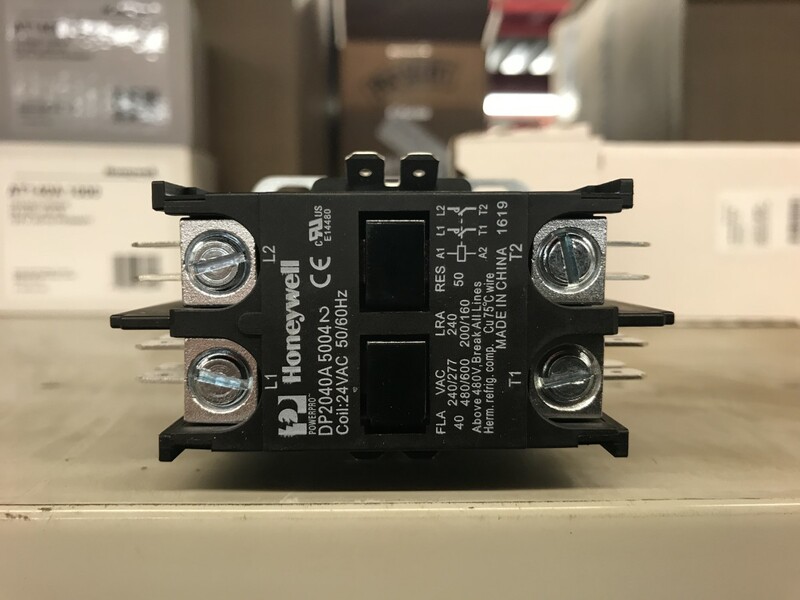 The outside of the unit must be able to dispurse heat so if it's covered up, it can cause the unit to operate at less than its intended performance. You may want to consider placing the unit in a bedroom window. The area where we sleep is a highly prioritized area to cool as sleeping in the heat can be very restless. If you live in a 2 floor home, you may want to consider placing the unit in a 2nd floor window. Cooler air will travel downward in the home as it displaces the warmer air thus cooling a bit more area than it would from the 1st floor. This is especially true when using a fan to push the air down stairwells. Regardless of where you locate the unit, coupling the use of the unit with the use of a fan can really help move the air around your home. For instance, if you've placed your unit in a bedroom that you're not in during the day, place a fan outside the door to pull the cool air out of the room and push it around other areas of living space. A couple of strategically placed fans can really cool down a larger area while running only one window a/c unit. 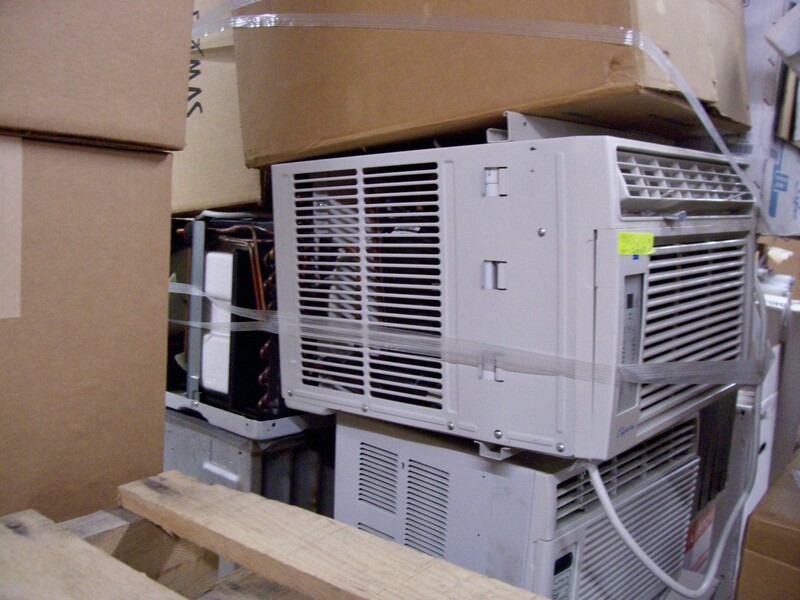 Often, improper storage can lead to permanent damage to the compressor. Of course summer doesn't last forever and before we know it, winter will come creeping back our way. 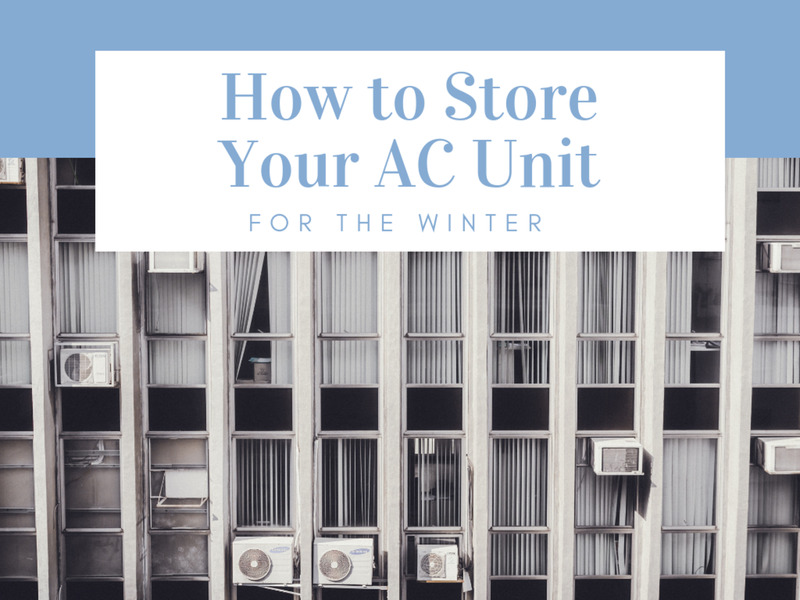 Make sure that when you're done using your window air conditioner for the season, you care for and store the unit properly. This will insure that your unit will work for you again next year. Clean the air conditioner and coils. Take out, wash and dry the filter. Wrap up the unit in a trash bag or cover it up with a towel to keep dust and such from getting into the unit during storage. Keep the unit stored in a dry area to prevent promoting corrosion. Store the unit upright, meaning, the same position it would be in for operation. Storing the unit on it's side can allow oil to drain out of the areas in the motor that it should be. As a result, when you fire up the unit next year, it will be running without oil in the right place and can damage the motor. If you did store it on it's side, be sure to allow the unit to sit upright for a day so that the oil drains back into the proper area before running the motor. 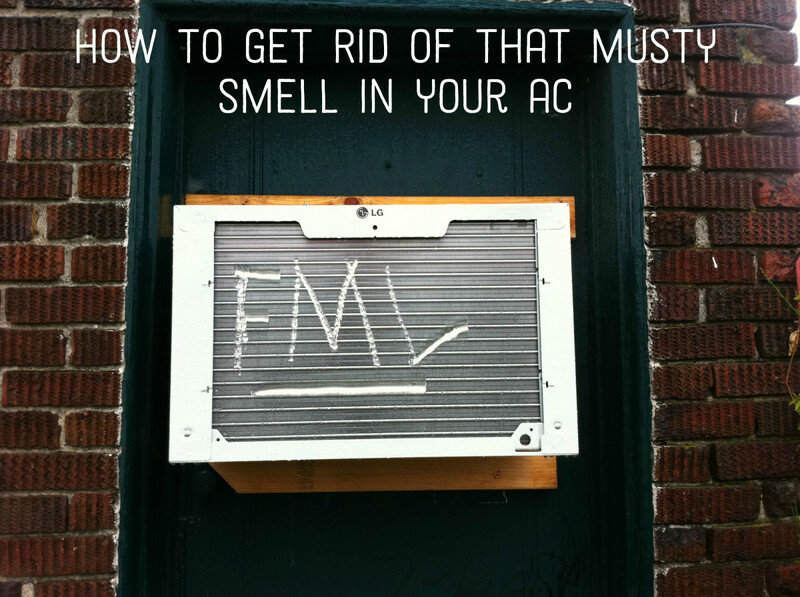 Of course, the other option is to leave your air conditioner installed in the window as-is all winter long. 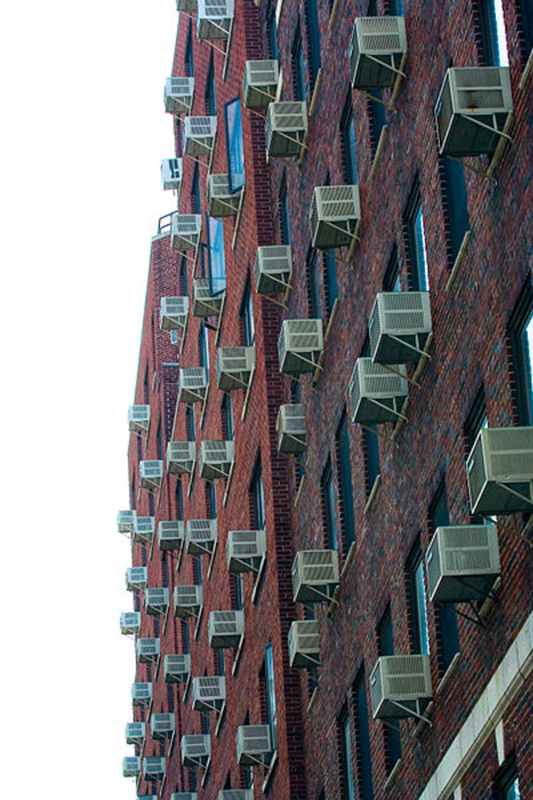 After all, who wants to uninstall their air conditioner and then re-install it every year? Leaving it in the window will also ensure that it's stored in the correct position so that oil remains in the correct areas in the unit. 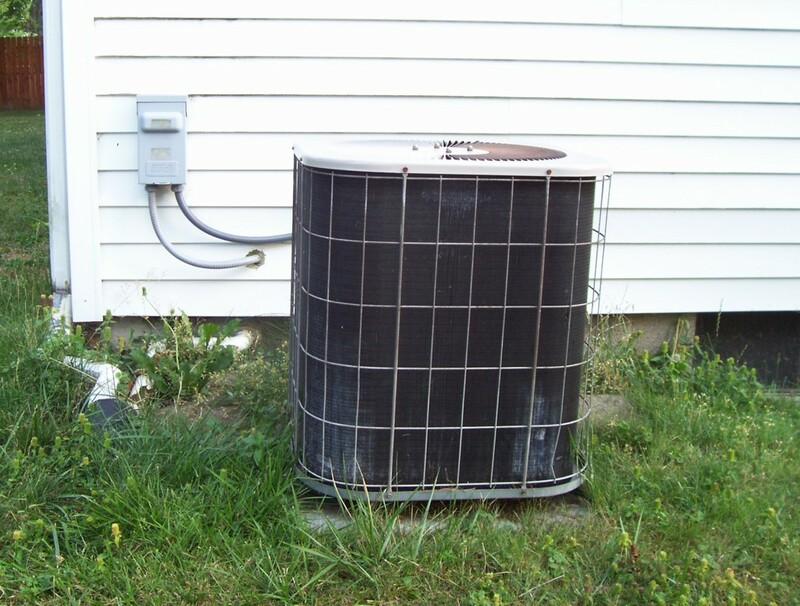 Wrap the unit tightly with a quality air conditioner cover that works for your unit. 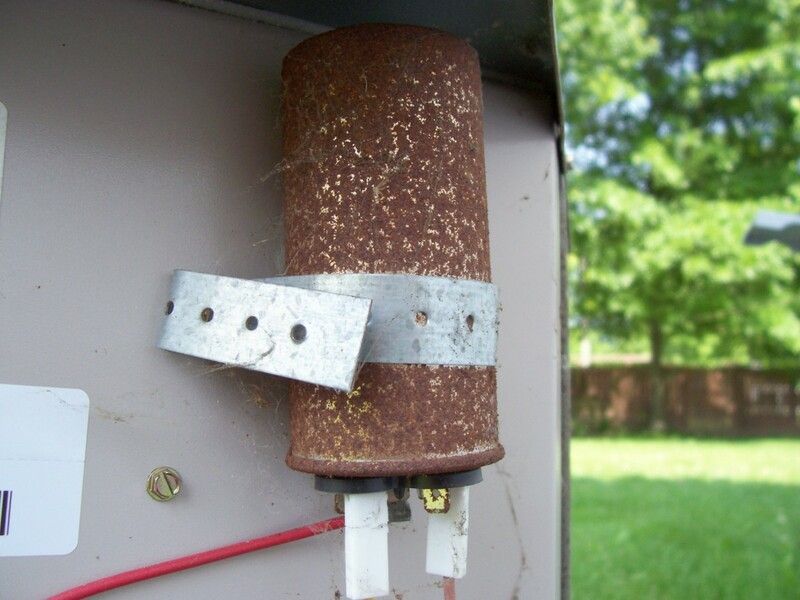 It should be weather resistant, prevent drafts, and fit securely. A company called Sturdy Covers makes this AC "defender" cover out of 600D polyester. In basic terms, 600D polyester is waterproof, resists cracking after years in the sun, and can handle some of the more extreme climates with heavy snow and rain. I recommend this cover to my clients all the time. Some of the older covers just didn't last well (or secure tightly) and without knowing it, they'll crack and split, then you'll get all types of damaging debris, water, and snow inside their unit. This cover works very well for most units. Even if it's summer now, pick one up and store it away so you'll have it easily available to quickly cover and protect the unit without thinking about it later. By keeping in mind these tips and following your product's instructions, you should be able to relax and enjoy the cool air that your window unit will give you now and for years to come. Cleaner duct work equals cleaner air and less dusting. Learn how you can improve the quality of the air in your home without any cost and specialized tools. I will be installing a 10000 but unit in a wooden double hung window of a 1949 house. Does it need a metal support? I always recommend a support, yes. 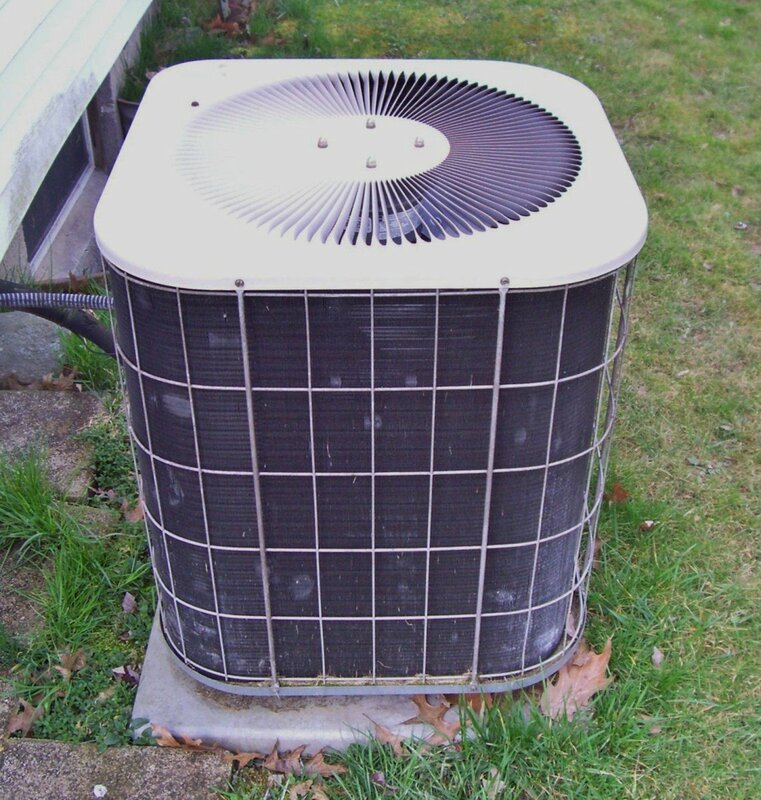 Does an A/C unit need to be angled out or down? Or, can it be level? Level is best. Most units have weep holes to drain water from. Can I use my A/C without the metal cover/frame as it won’t fit in my new windows? I don’t recommend removing any parts. No. A lot of accidents happen every year with window A/Cs. how much is too much tilt in regards to installing an A/C? Very little tilt is needed; just enough for the water to run away from inside. Can you hose the inside of a window AC to clean it? The backside, yes, but you don't want any water inside the controls. The backside is exposed to weather, so water won't bother it. where to get the netting for the window air conditioner as shown in video? If we could all be a little more efficient, it would go a long way. Good info!